Hey guys! Marsala is the Pantone color of the year so what better way to wear it than on your nails with KBShimmer's Men Are from Mars-ala?! I am a sucker for holographic polish. 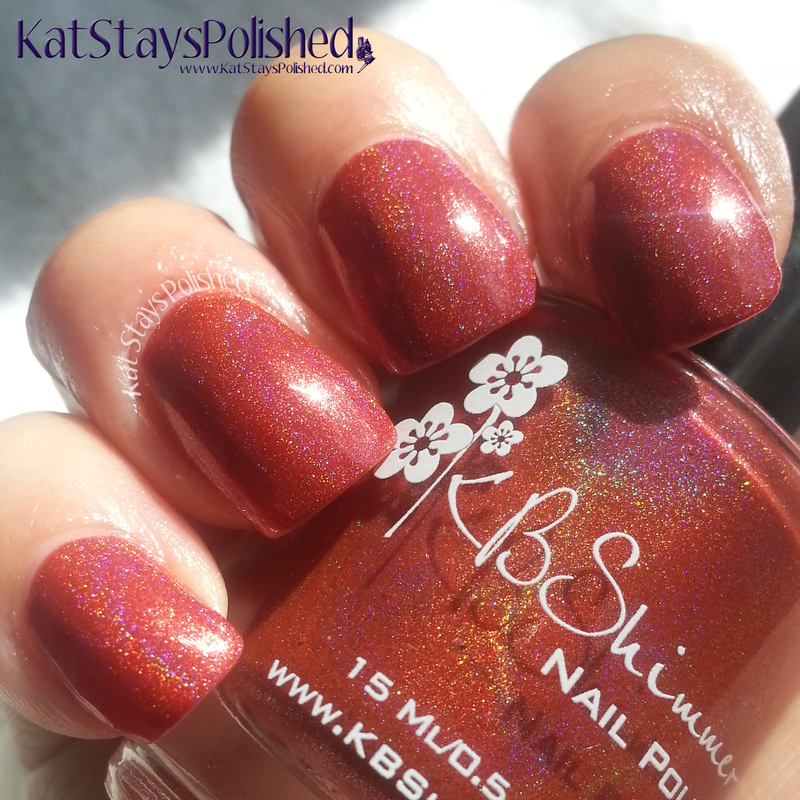 KBShimmer is one of my top faves for getting holos. I don't really need to say much because the pictures speak for themselves. For my swatches, I used 2 coats of polish and topped it with KBShimmer Clearly On Top quick dry top coat. The first two pictures are taken under indirect light. You can still see some holo effect on the nail but this perspective gives you a better idea of the color itself. If you take a look at the bottle, you can see how holographic this polish really is. These next two photos are taken under direct light. Here you can definitely see the holo effect. I love any holo that can clearly show that rainbow without a lot of effort. Like I said, I am a sucker for holos! Lastly, here is Men Are from Mars-ala in direct sunlight - well, sunlight coming into my room. Can you EVEN imagine what this looks like outside?! It's a bit chilly out to be doing that. Needless to say, I freaking LOVE this polish - both the formula and the color. It is thick enough to apply 2 coats for full opacity and thin enough that it's not globby on the nails. Make sure to get your bottle today! *Product was provided for an honest review. All opnions are 100% my own. Great color for a holo and for the color of the year too.